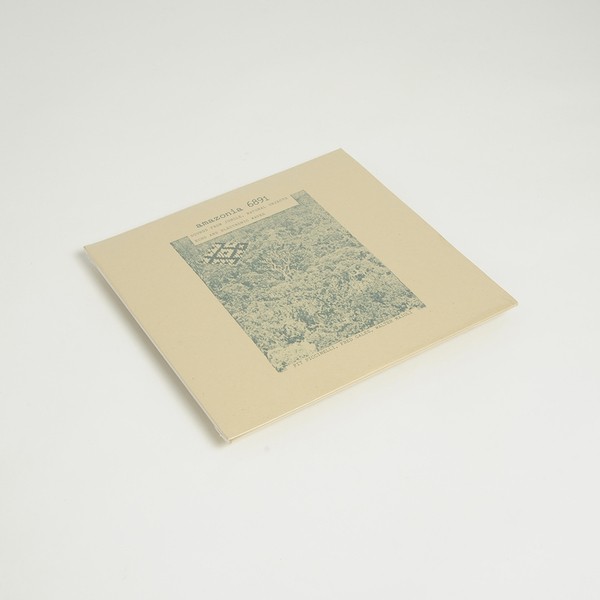 Black Sweat Records prize open the treasure chest of esoteric Italian music; come out holding the remarkable Amazonia 6891 proudly aloft for its first ever vinyl release, 30 years after it was issued on cassette only. 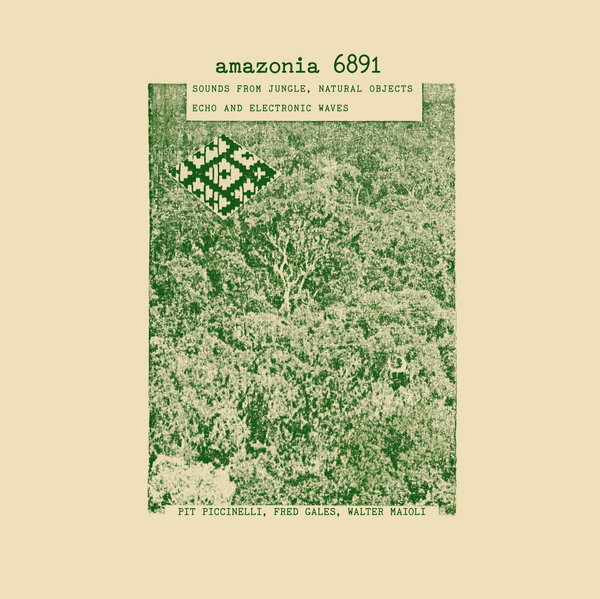 An ethnomusicological study, an extensive sound poem, or a fantasy field recording collage - whichever perspective you take on Amazonia 6891 everyone is sure to arrive at a similar conclusion; this record is the key to whole other dimensions of sound-colour imagery and electro-acoustic interzones. It was conceived and finalised in 1985 as a joint project, combining ethnographer Pit Piccinelli’s collection of natural objects with electronic input and reworking by ethnomusicologist Walter Maioli (Aktuala, Futuro Antico) and anthropologist Fred Gales, who, together, committed their fascination for the mystery of native Amazonian tribes and the sounds of the jungle into a lush transcultural collage on the first disc, whilst their 2nd disc presents a library of the component sounds and samples used in the collage. Both sides are completely transfixing in their own right. 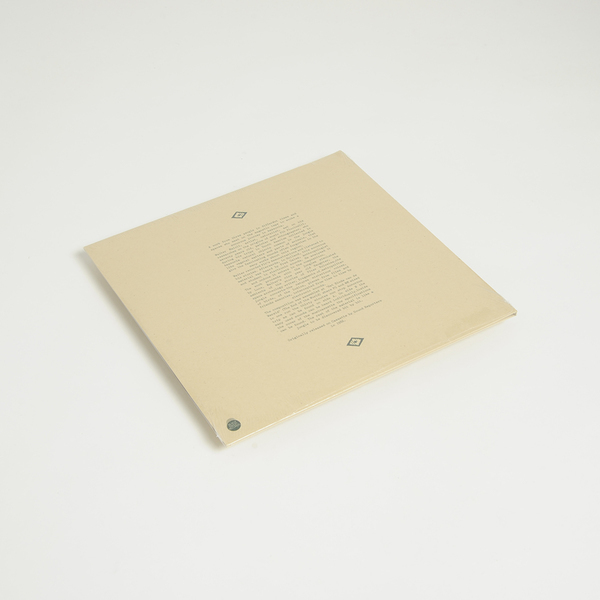 With side A/B we’re placed at the centre of a thick, heaving mass of humid jungle atmospheres and distant tribal song almost imperceptibly blended with electronic sources. The fidelity of the recordings isn’t crystal, but that only lends to the timbral chaos, making it harder to pick out what’s what and thereby smudging your consciousness into a deeper, hypnotic state when used either as low set ambient backing or for eyes-shut headphone immersion. Do so, and after 10 minutes or so you’ll be looking in cupboards or checking the train for stray monkeys. As some kind of proof of the preceding side’s construction, the C/D sides spell out a library of individual sounds, from rattling monkey skulls to scraped coconut, the voices of the Yanoama, and slivers of synthesised electronics segued with readings of various texts. It’s all far rawer, layered and textured than anything we’d be inclined to call 4th world, although it obviously shares many of that genre’s hallmarks. It’s maybe better thought of as a fantasy chronicle of adventures in the endlessly evocative Amazon, or a deeply trippy post club escape hatch.